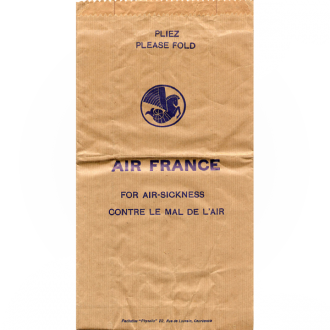 ﻿ Air France 1948 | Bags on board : A week a bag! 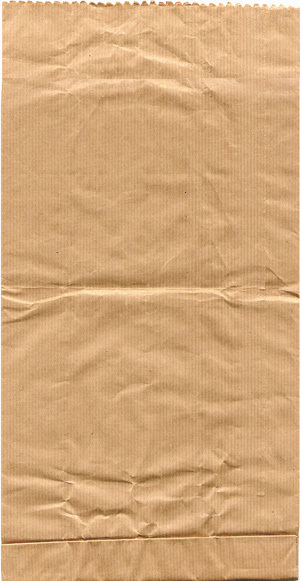 A large brown paper bag. The oldest in my collection. The logo and the name of the airline are written in dark blue. Instructions are in French and English. 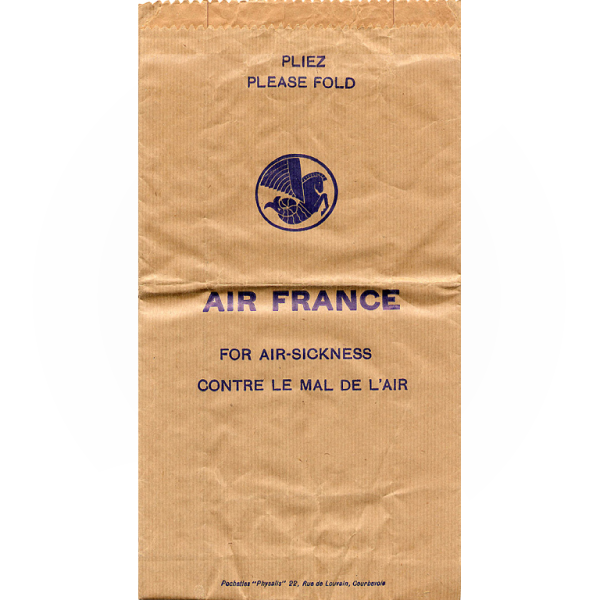 In the eyes of its volume, the bag was used for various purposes : for nausea, but also as a waste bag, etc. The name and address of the bag manufacturer are written on the lower part : Pochettes « Physalis » 22, Rue de Louvain, Courbevoie.